Newlyweds move into an old house. The bride remembers it from her nightmares. 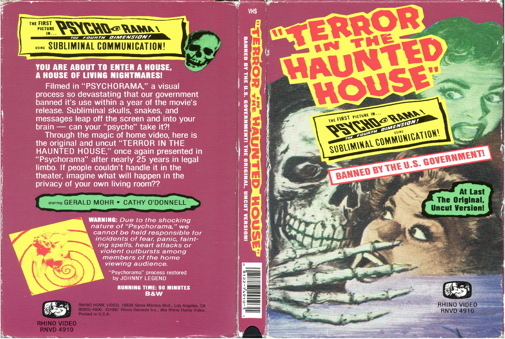 First release featured the first use of Psychorama, a technique in which scary words or advertising messages were flashed on the screen for a fraction of a second--just long enough to cause subliminal response. The technique was banned later in the year.